Follow the Croze and Smith Wooton Team on the Road! 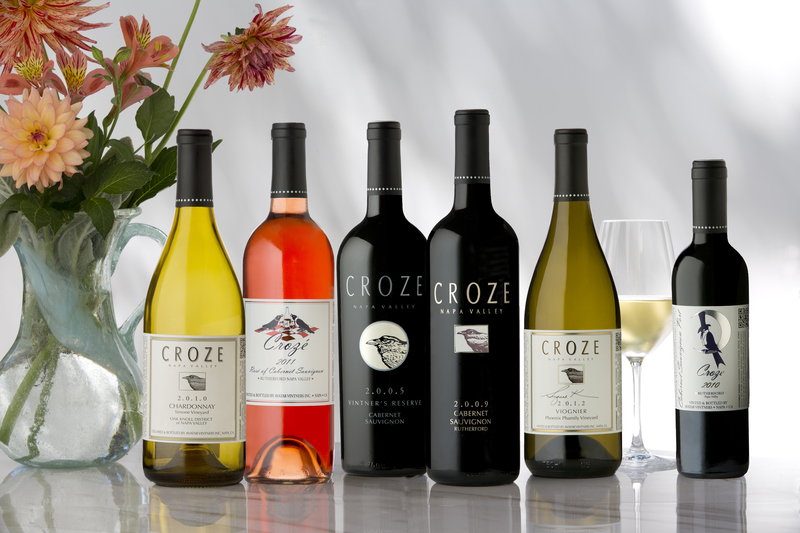 Croze Cabernet (California). Definitely a big boy from Napa. Not just Oakville, but the site-specific “Money Road” vineyard. 100% Cab, aged 24 months in French Oak. Coffee notes along with sweet cherries, mocha and dark blueberries. Rich and voluptuous. A long lingering finish, with a hint of white pepper. This largely tannic wine clearly needs time to open in the glass or on the table. It initially shows herbal elements around a core of clove and black cherry. Well-made, it's structured and a good match for meals. "Light chocolate, plum and currant character. Hints of walnuts. Medium body, firm tannins and a medium finish"
This is a generously juicy, powerfully intense wine, rich and rewarding in blue and black fruit, cedar and dried herb. Lengthy and medium bodied, it weaves a complex tangle of tannin and oak as it goes, finishing with a strong taste of tobacco. It's attractive now, but will reward further if held until 2020. Log in to www.insidenapavalley.com for current Napa Valley wine news.